Having been a designer with other brands for over 25 years, Clover Canyon creative director Rozae Nichols knows a thing or two about dressing women with great technique and detail. Clover Canyon, her latest project, was born in 2011 out of a love for travel and art. With hand-engineered, original prints that are both strategically placed and stunning, the brand is tearing up the fashion world by storm and we couldn't be more thrilled to be carrying the line! Youthful yet sophisticated, uniquely beautiful and never too serious, donning a Clover Canyon piece is like wearing a story. 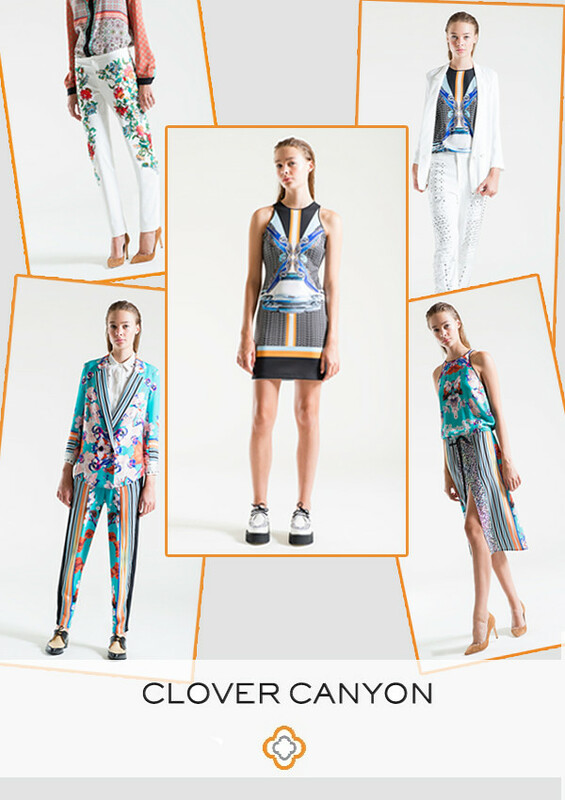 Clover Canyon invites women to join them on a journey of the imagination: Where do you want to go?